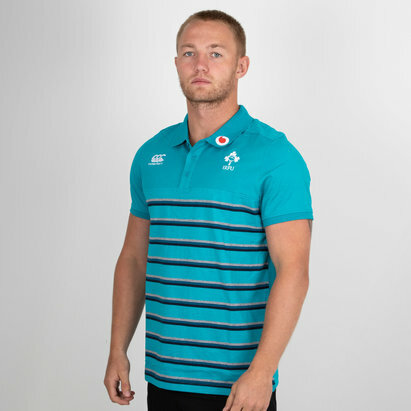 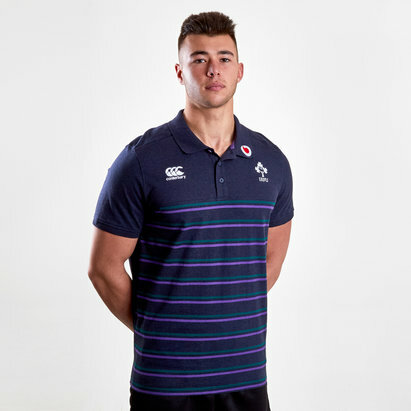 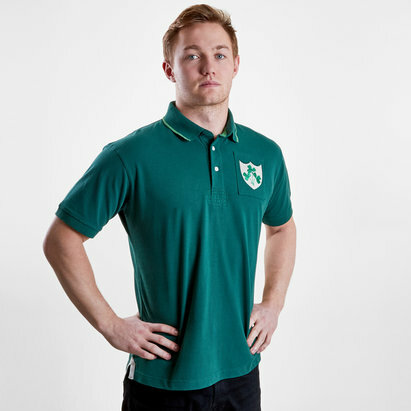 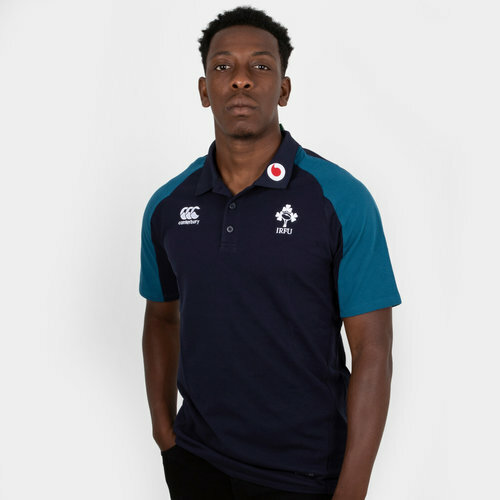 The Ireland Cotton Polo has a ribbed collar with 3 button placket and ribbed cuff for comfort. 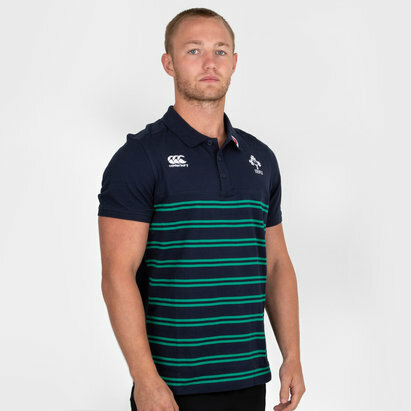 The forward facing shoulder seams reduce irritation when carrying a backpack. 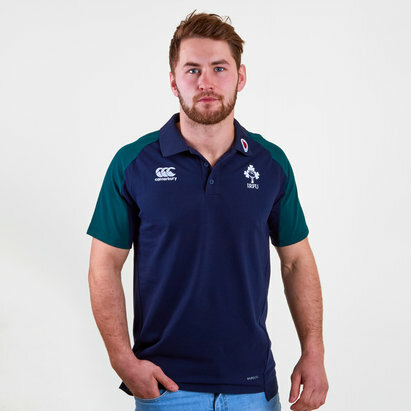 This top comes predominantly in navy with lighter blue sleeves. 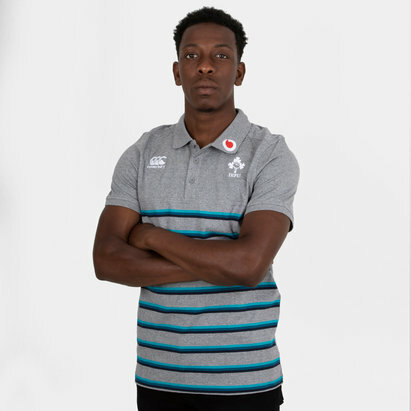 The CCC logo and Ireland Shamrock have been embroidered onto the shirt on left and right, respectively. 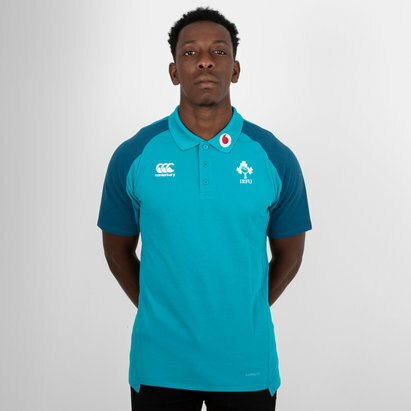 The team's partner, Vodafone - a collaboration since 2016, is embroidered on the left collar.